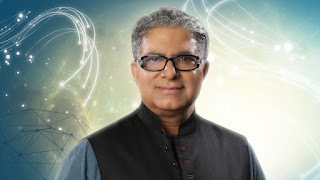 So once more the great Deepak Chopra responded to my greetings from Israel (16:13). I love this guy. Always nice when he responds. A true blessing to the world. Luckily, he will be here in Israel in March and hopefully I'll have a chance to see him.